Ready to explore the world in 2018? Check out some of the top events happening across the globe in January! During the 19th century, the New Year in South Africa was an auspicious celebration which was largely reserved for Dutch colonists. On January 2nd, their slaves would be given the day off to celebrate the new year amongst themselves. Over the centuries, Tweede Nuwe Jaar (‘Second New Year’) has become an event which unites and celebrates the creole people of Cape Town. 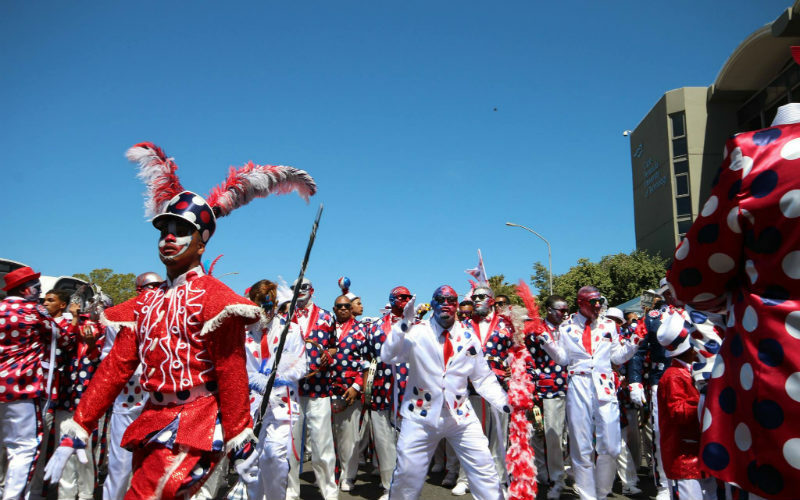 On the evening of January 1st, working class citizens and Cape coloured families gather in the Bo-Kaap (Malay Quarter) to sing songs and play drums in anticipation of the Tweede Nuwe Jaar. On January 2nd, more than 13,000 costumed minstrels take to the streets in a huge street parade filled with music, traditional dance troupes, marching bands, and more! Cape Town Minstrel Carnival, Cape Town. Image Credit: Kaapse klopse Karnival Association. Each January, the SnowDays festival breathes new life into Banff National Park. Over 11 days, this festival celebrates and showcases the region’s stunning winter landscape with ice-themed competitions, exhibitions, activities and more. SnowDays kicks off with a huge street party in downtown Banff, where DJs and live bands set the backdrop for ice-carving demonstrations, ice skating, a beer garden and ice bar, food vendors, an ice playground, and even an ‘ice fire pit’! 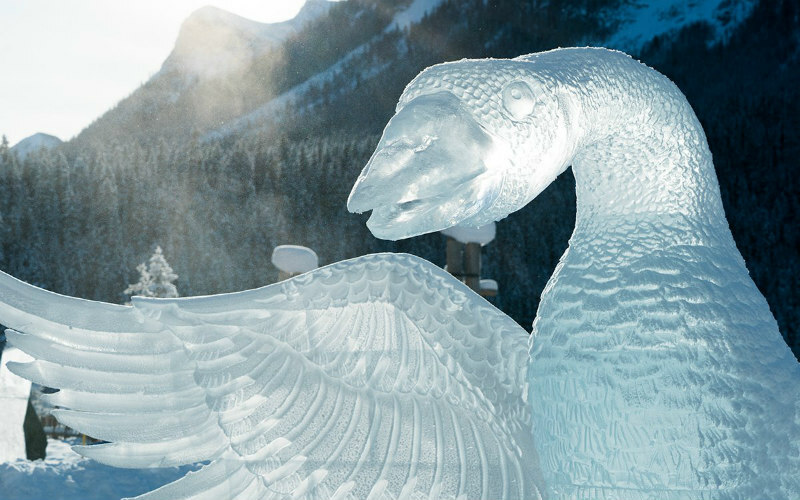 Opening night also marks the start of the Ice Magic Festival in nearby Lake Louise, where ice carvers from around the world compete by crafting huge ice sculptures right before onlookers’ eyes. Other festival events include a cardboard sled derby and the Mountain Madness Relay: a five-leg team relay from the top of Mount Norquay to the Bow River. Banff SnowDays, Canada. 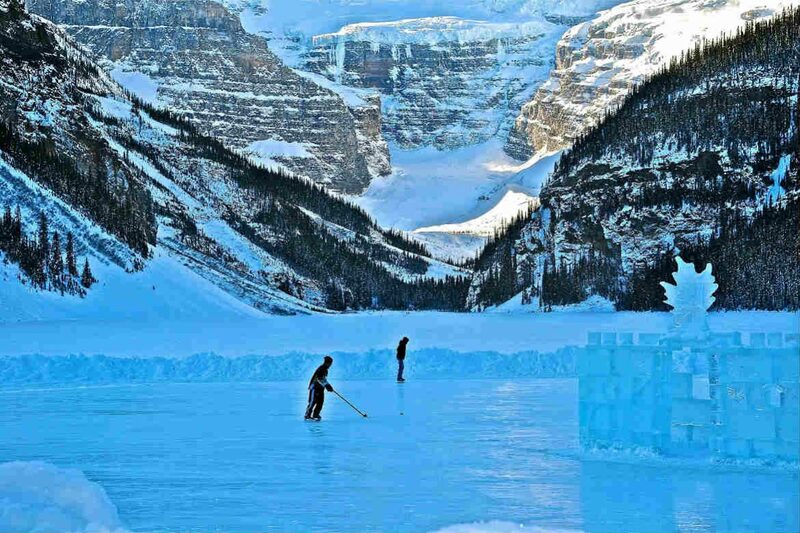 Image Credit: Banff & Lake Louise Tourism. One of the country’s rare, non-religious festivals, the Jaisalmer Desert Festival celebrates the rich heritage and folk culture of Rajasthan, India’s largest state. Amid the beautiful sand dunes of the Thar Desert, ‘Shobha Yatra’ marks the start of the festival with a procession of local clans. 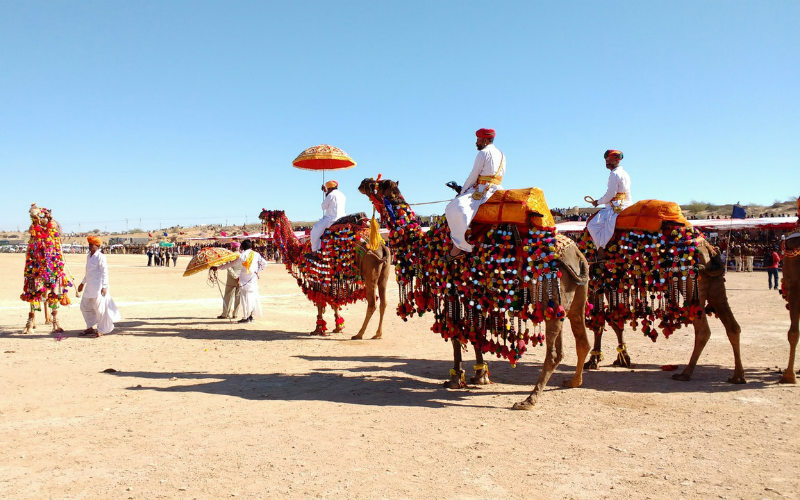 Dressed in traditional attire and carrying swords, they enter the Shahid Poonam Singh Stadium on the backs of horses, camels, and elephants. The next three days are a hullabaloo of all things Rajasthani; expect everything from snake charmers, acrobats and puppeteers to turban-tying and moustache competitions—perhaps even a camel tug-of-war. Many nomads also trek across the desert during the festival to sell jewellery, handwoven items, and black-market goods at the bazaar. Taste exotic delicacies, marvel at outlandish contests, and dance to traditional music in the sands of northwestern India. Known in polylingual Switzerland as both Murten Licht-Festival and Morat Festival des Lumières, the Murten Festival of Lights is winter light spectacle held in the town of Murten (Morat). In 2016, the inaugural festival proved to be immensely popular, drawing around 80,000 spectators to the quaint town overlooking Lake Murten. This year, the 12-day festival is a highly anticipated event on Switzerland’s cultural calendar. Inspired by Lyon’s Festival of Lights, the festival sees Murten’s normal public lighting turned off to allow the town’s special winter showcase to shine. 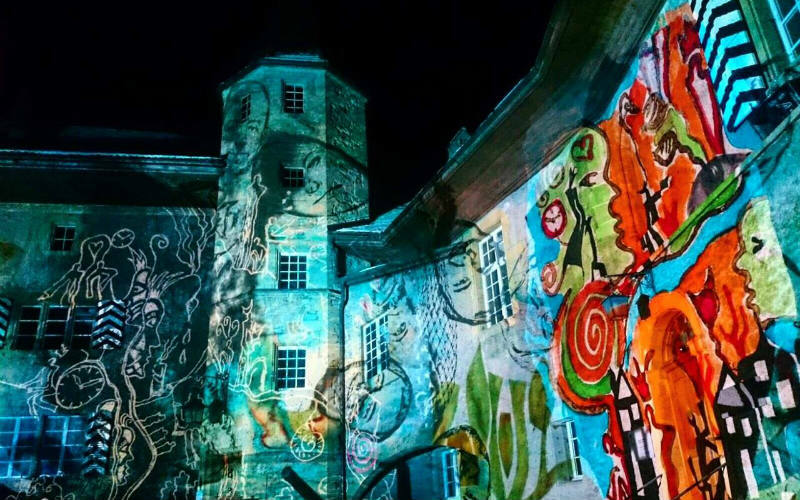 There will be more than 25 different areas to explore, featuring light sculptures, sound installations, and beautiful animations projected onto the medieval buildings of Murten. Murten Festival of Lights, Switzerland. Image Credit: Murten Licht-Festival / Morat Festival des Lumières. Beginning with a flourish at midnight on January 20th, La Tamborrada is by far Spain’s loudest festival. This tongue-in-cheek event is said to originate from the French occupation of San Sebastian during the Peninsular War. During this time, the town’s residents would use buckets to mock stationed troops by mimicking their daily procession to the city’s main gate. 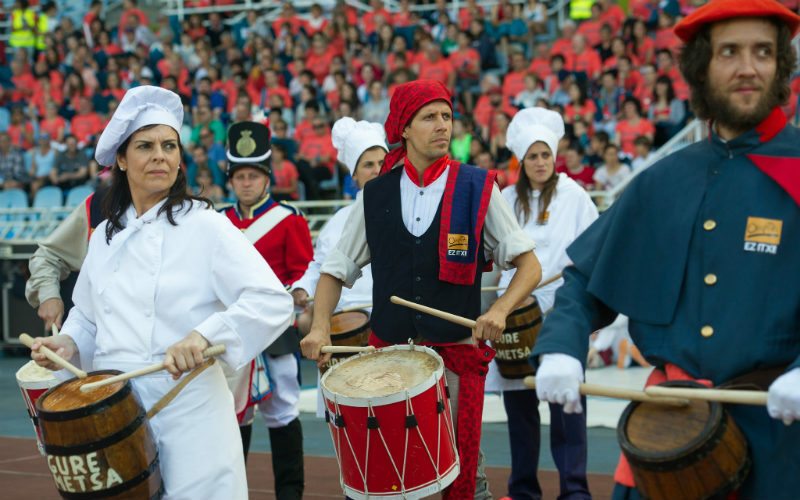 Today, thousands of people gather in the Plaza de la Constitución to watch the town mayor raise the flag of San Sebastian and herald in 24 hours of nonstop drumming. With over 100 drumming regiments and more than 5,000 child drummers dressed in colourful military costumes, La Tamborrada is something you need to see —and hear—for yourself. La Tamborrada, Spain. Image Credit: Gure Esku dago / CC by SA 2.0. Ready to explore the world this January? Book cheap flights to hundreds of exciting destinations with Webjet! Feature Image Credit: Jack Borno / CC by SA 3.0.